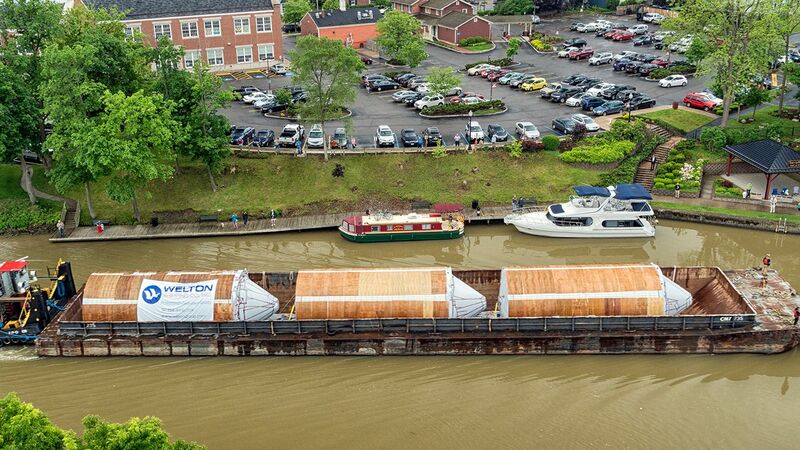 If you’ve seen the recent news about the massive fermentation tanks traveling through the Erie Canal, you’ve seen a Lehui Craft tank. The 2,000 bbl fermentation tanks we manufactured for Genesee Brewery recently made a splash in news headlines as they traveled to their new home in Rochester, New York. In total, we shipped 12 fermentation tanks to Genesee, each over 60 feet tall and 20 feet wide. 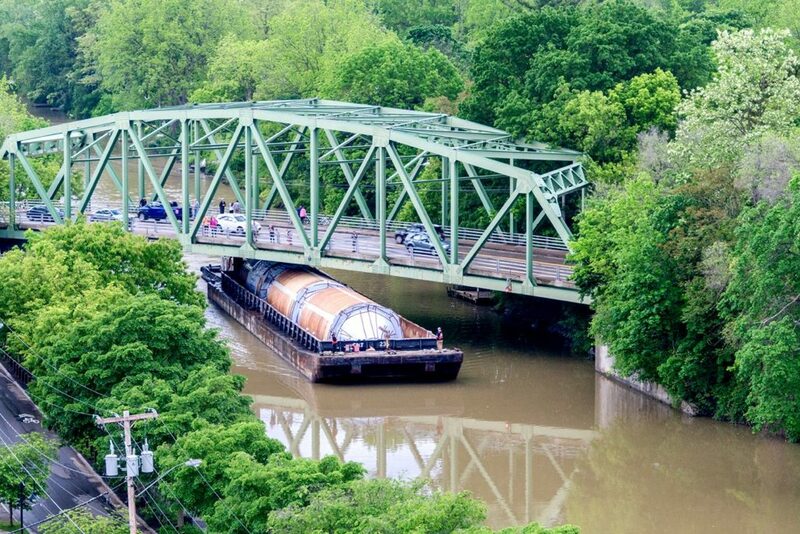 Because of the size of the tanks, they were loaded onto barges and pushed by tugboat through the Erie Canal for the final 225 miles of the 6,000 mile journey. The tanks are part of a large-scale eco-brewery renovation funded by Genesee Brewery’s parent company, North American Breweries. As the tanks drifted toward their new home, they featured Genesee banners with the hashtag #ToastTheTanks written on them. Thousands of New Yorkers lined the Erie Canal and gathered at the locks to crack open a delicious Genny beer and snag some pictures of the tanks in transit. In an interview with the Rochester Democrat & Chronicle, Mark Fabrizio, North American Breweries director of project management and continuous improvement, said Lehui Craft has a “very structured, fundamental approach and they do fantastic work. Their quality is comparable to anybody in the world.” The brewery stated that “Lehui provided the best blend of price, expertise and results” out of the five bids submitted for the tanks. Interested in learning more about our fermentation tanks? We offer some of the largest, highest-quality outdoor tanks in the industry, all at competitive prices. Every fermentation tank we build features ultra-precise welding and polishing, complete traceability, material exactness and a dedication to producing certified pressure vessels to all international standards. All of our fermentation tanks include laser-welded cooling jackets and polyurethane insulation to protect the precious contents of your tank. We regularly provide custom specifications and fittings for our customers, and we also offer brewhouses, brite tanks, packaging equipment and more to accommodate your new fermenters. For more information, please request a quote on our website or give us a call at 248-850-8275. We’d be happy to discuss your upcoming brewing project! Aloha From Maui Brewing Co! Visit Us At Booth B5.334 At Drinktec!